Located within the Yamhill-Carlton District viticulture area, a sub appellation of the greater Willamette Valley AVA, the 140-acre Shea Vineyard sits between 400 and 600 feet above sea-level. Well protected and less likely to suffer from valley frosts and the cold, high-elevation temperatures unsuitable for effective ripening, Shea supplies grapes to nearly 20 world-class Oregon and California wineries. 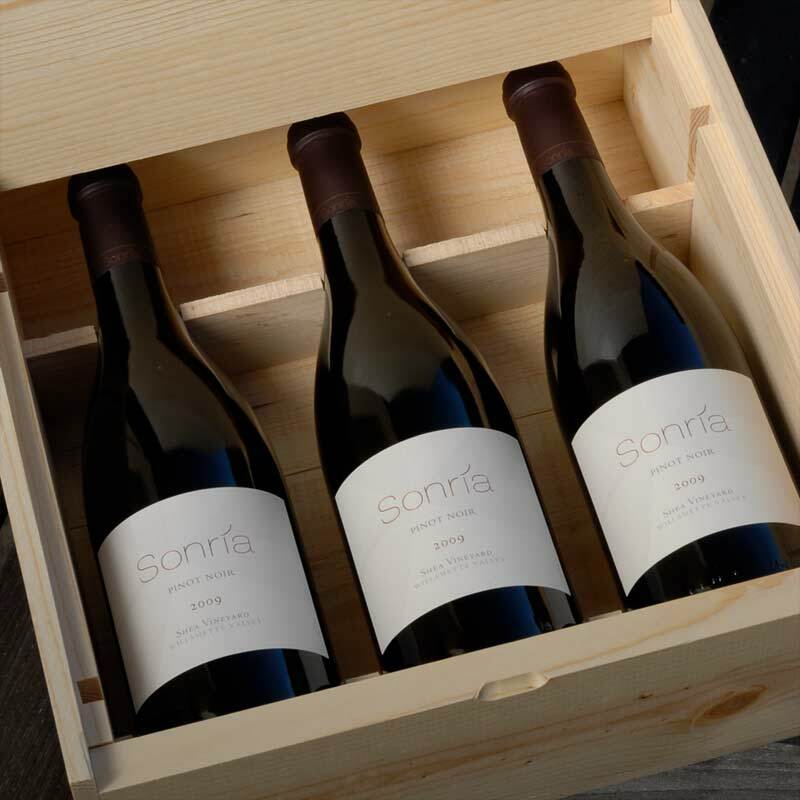 The fruit for Sonria is sourced from Shea Vineyard block 28 planted to the Wadenswil clone and block 16 planted to the Pommard clone. Each block sits at 600 and 400 feet above-sea-level, respectively. Explosive aromatics of red raspberry, strawberry and kiwi carry though to the palate and layer with tangerine rind and the slightest hint of exotic spices so signature to the Shea vineyard. Barrel aging adds a surprisingly round, rich mouth feel to this refreshing, fresh and precise rose.